Keep those Costco bulk purchases fresher, longer and prevent freezer burn. 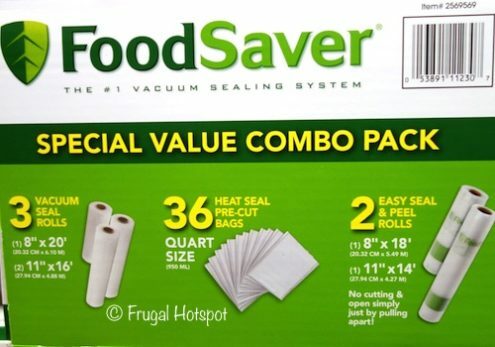 Select Costco locations have the FoodSaver Special Value Combo Pack on sale for $29.99 (after instant savings), from April 17, 2019 through May 12, 2019. That is $10 off Costco’s regular price of $39.99. While supplies last. Item #2569569. 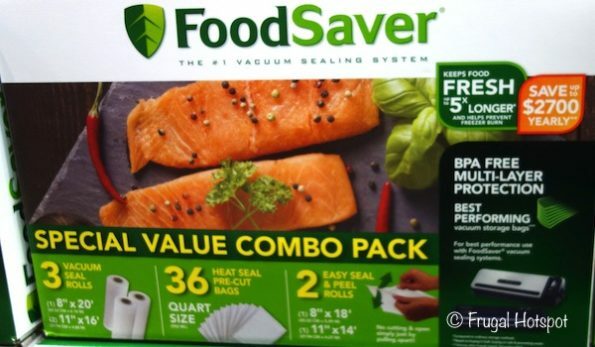 FoodSaver vacuum seal bags have a durable, BPA-free multi-layer construction that creates an airtight barrier around foods to help prevent freezer burn. Specially designed channels allow for the removal of air, keeping food fresh up to 5x longer than non-vacuum storage methods.